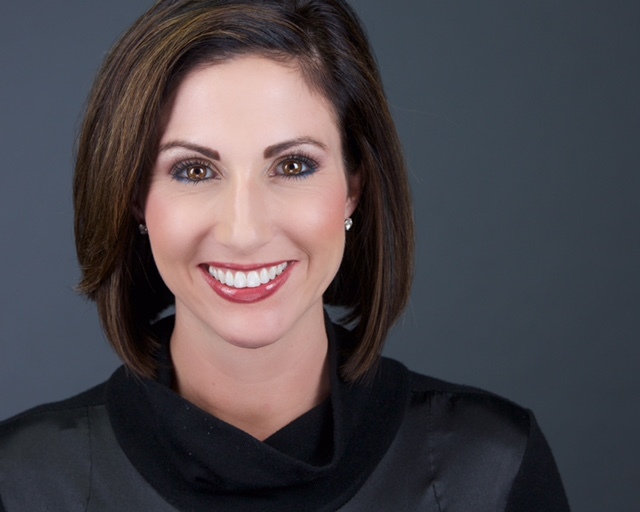 BETHLEHEM, Pa. - Aug. 25, 2016 - PRLog -- Ashley Russo, Emmy® award-winning executive producer and host of The PEAK TV, will emcee the American Heart Association – Lehigh Valley Division's Go Red for Women "PurseNalities" Auction. The event will be held on Thursday, August 25 from 5:30 – 7:30 PM at ArtsQuest at SteelStacks in the Blast Furnace Room. The event benefits the Lehigh Valley's Go Red for Women campaign, whose mission is to build healthier lives, free of cardiovascular diseases and stroke. "Women are at risk just as much as men are when it comes to heart disease and stroke. We, as women, must educate ourselves on risks and prevention," said Ashley Russo commenting on the importance of the American Heart Association's Go Red for Women's mission. "Being aware and working together to ensure that all women know the risk factors is key to aiding in the prevention heart disease and stroke." Ms. Russo is an American Heart Association Circle of Red Member. Ashley Russo is a two-time Emmy® award-winning executive producer and president of ASR Media Productions. Ms. Russo is also the Director of Business Development for ASR Media @ PBS39, as well as a Senior Consultant for The Professional Development Group. Television productions include The PEAK TV, which airs weekly in Pennsylvania and New Jersey on WFMZ-Ch. 69 and nationally on the DrTV channel, St. Luke's HealthNow, as well as Roey's Paintbox, Fireflies Musical Yoga, and Science Time, all co-productions with PBS39-WLVT. Ms. Russo, also the host of The PEAK TV, has been awarded two Mid-Atlantic Emmys® as Executive Producer, receiving a statue in 2013 and 2015 and has earned five nominations over the past three years. Ms. Russo was most recently the recipient of The Greater Lehigh Valley Chamber of Commerce's Excellence in Business - Outstanding Woman in Business award. She received the Bethlehem YWCA's Golden Laurel Woman of the Year award in April, 2016, been honored as a Lehigh Valley Business Forty Under 40 in 2015, named one of the publication's 25 Women of Influence in 2014, and chosen as a 2013 Woman of Style by Lehigh Valley Style magazine. Russo's commitment to the community is evidenced by her active involvement as a board member of United Way of the Greater Lehigh Valley, the Greater Lehigh Valley Chamber of Commerce Non-Profit and Business Partners Council, Wildlands Conservancy, The Auxiliary of St. Luke's Hospital, Donate.Local.Simple, as well as a committee member for LV Food and Wine Festival benefiting Northampton Community College, Northampton County Medical Society Alliance, and American Heart Association Circle of Red.